So maybe you were a fan of Starz's short-lived Camelot series, and were sorry to hear it wouldn't be back for a second season. Maybe you were curious, but never got the chance to check the show out. Or, hell, maybe it was never on your radar at all until you saw the words "giveaway" and "win" up top. 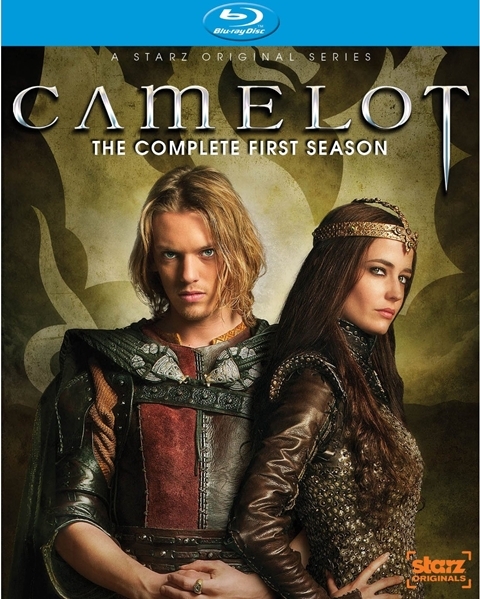 Whatever your previous Camelot intersections, today you've got the chance to take home a Blu-ray copy of Camelot: The Complete First Season on Blu-ray. That's right, the fine folks over at Anchor Bay Entertainment have provided us with two Blu-ray sets of Camelot to give away to lucky readers! In addition to all 10 episodes of the show, the set includes a half-dozen behind-the-scenes featurettes, character profiles, and a pop-up history feature exclusive to the Blu-ray edition. Entering is easy. Just click on over to our Facebook page, "Like" it if you haven't already, and then leave a comment on this contest post. Tell us what your favorite onscreen version of King Arthur is, and why, and we'll pick our two favorites as winners. The contest ends at 12 am EST on Wednesday, September 14th. If you aren't one of our lucky winners, you'll be able to pick up Camelot: The Complete First Season on Blu-ray and DVD next Tuesday, September 13th.